All created by the human voice alone! 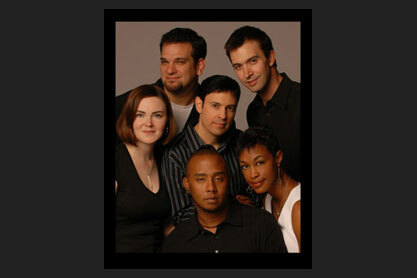 Hailed as Vocal Group of the Year by the JPF International Music Awards, Groove Society has been mesmerizing audiences at packed houses throughout North America with their infectious rhythms, exhilarating improvisations, and stunning vocal artistry. With the release of their critically acclaimed debut CD, Groove Society is receiving airplay on major-market radio stations from coast to coast. They have appeared at international music festivals across the Mainland U.S., Hawaii, and Canada, sharing the billing with, and/or opening for top artists including Bonnie Raitt, Herbie Hancock, Bobby McFerrin, Dr. John, The Neville Brothers, Patty Austin, The Rippingtons, Paul Taylor, Freddy Cole, Styx, The Dirty Dozen Brass Band, and many more!